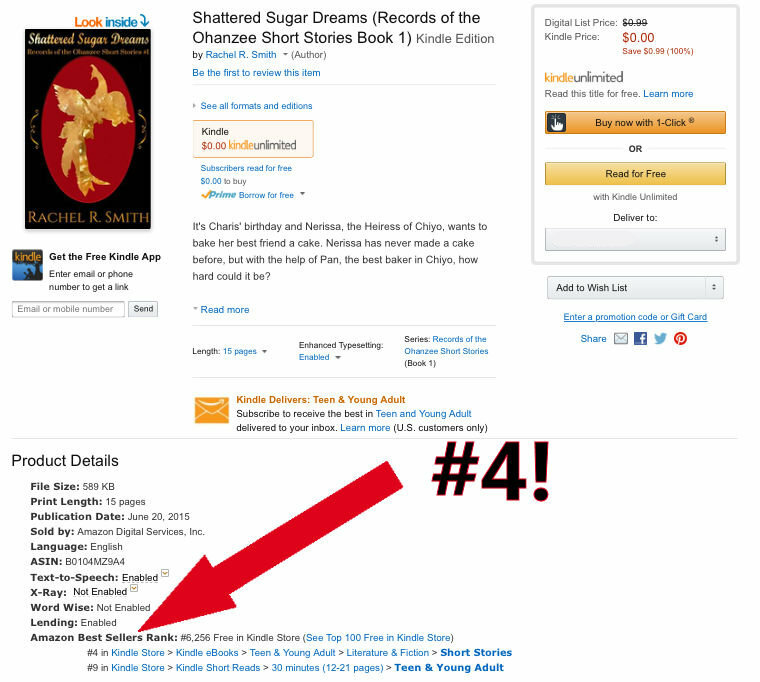 A huge thank you to everyone who downloaded copies of Shattered Sugar Dreams during the promo period this weekend! With your help, the story reached a sales ranking of #4 in the Teen & Young Adult Short Stories category and #9 in the Kindle Short Reads for Teen & Young Adult category. To celebrate, I wanted to share the title for the next book in the Records of the Ohanzee series. Book #2, Reflection: Harbinger of the Phoenix, will be released in early September! I hope that everyone who read Shattered Sugar Dreams enjoyed this brief introduction to Nerissa and the world of Renatus. If you feel so inclined, please leave a review on the Amazon product page. I am planning a second short story to be released in mid-August, just a few weeks before Harbinger of the Phoenix! Congratulations! So exciting to have a book do well.